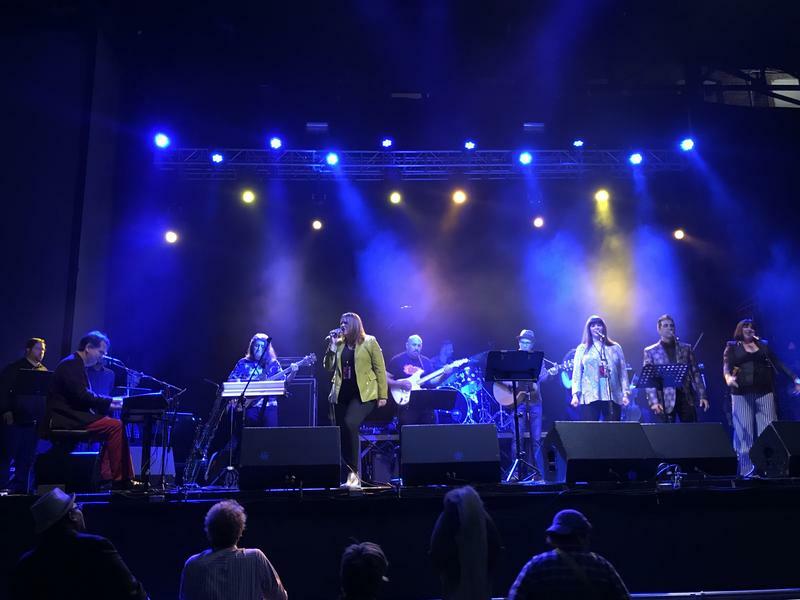 The Florida Bjorkestra recently performed a Greatest Hits concert at Jannus Live during the Et Cultura Festival in St. Petersburg. Singers with the Florida Bjorkestra practice in founder and pianist Jeremy Douglass' (l) living room ahead of a recent show in St. Petersburg. The full Bjorkestra rarely gets to perform together until its showtime. 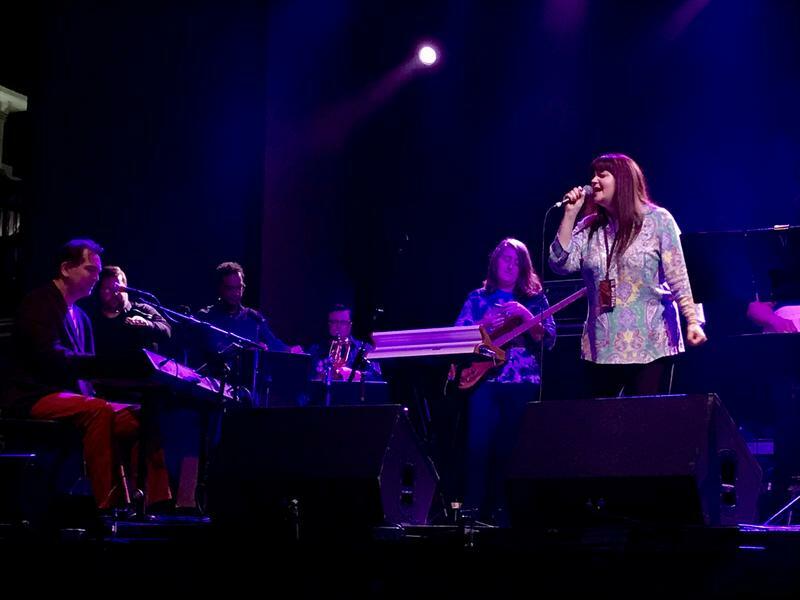 Singer Jamie Perlow tackles the challenging vocals of Bjork, the Icelandic singer who inspired the band's name. Singer Ronnie Dee does the Peter Gabriel numbers. 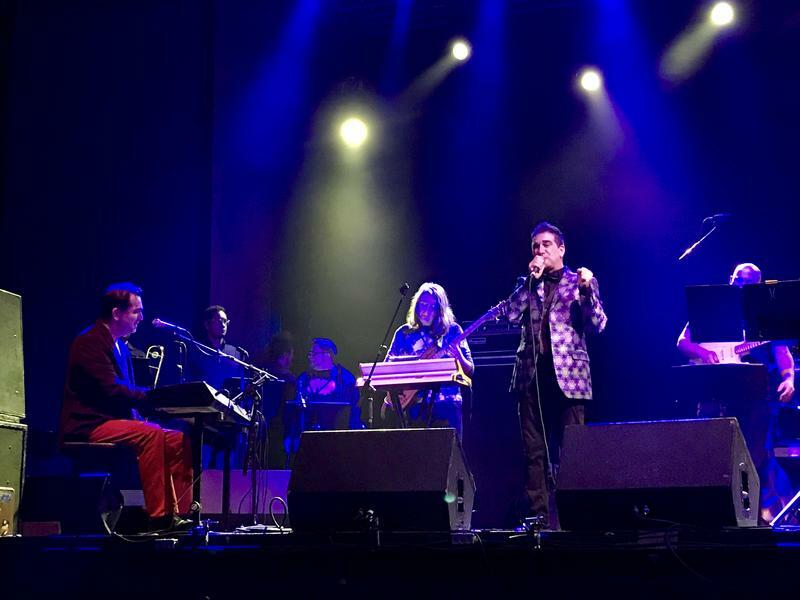 He says members of the Bjorkestra are challenged to pay respectful tributes to the artists they cover without making it seem like they're trying to imitate them. Singer Whitney James can also be heard on WUSF 89.7. She is the Monday host of All Night Jazz. 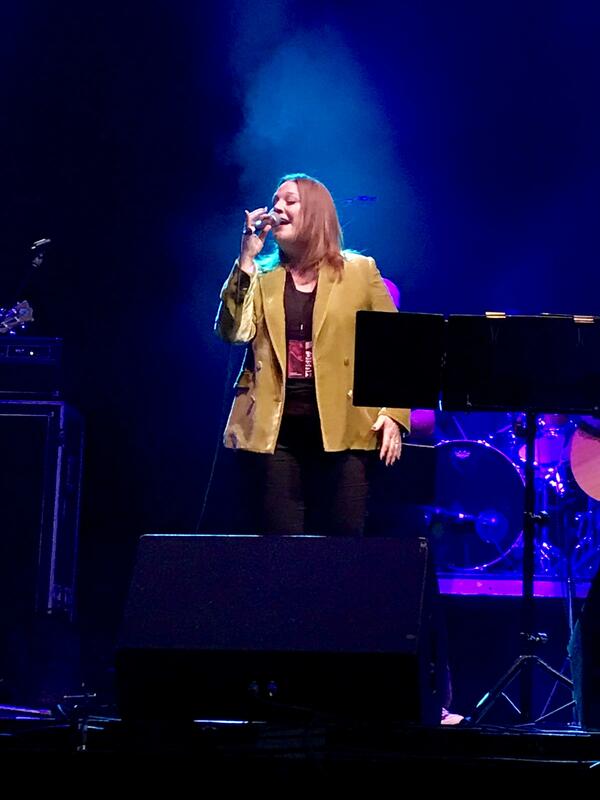 Singer Colleen Cherry honored the late David Bowie with songs like "Life on Mars" and "As the World Falls Down." 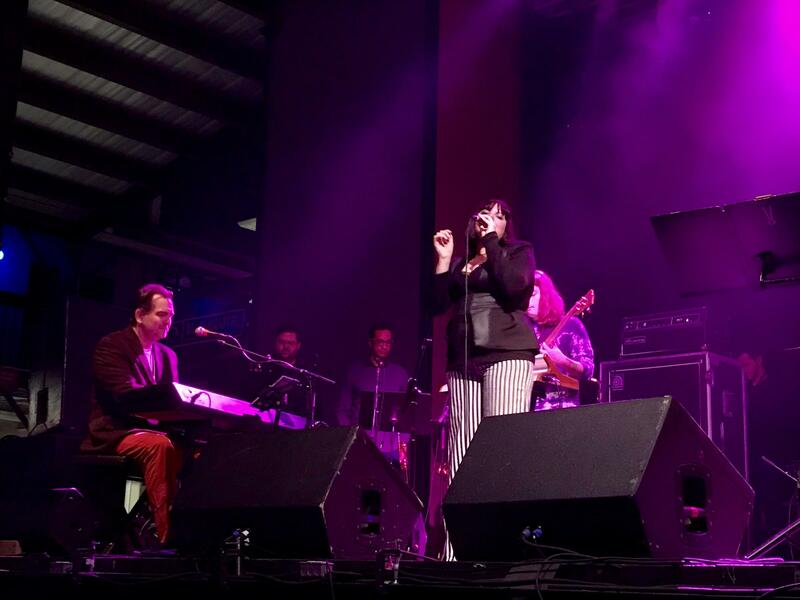 The show at Jannus Live concluded with a rocking performance of "Precious Things" by Tori Amos. The group is called the Florida Bjorkestra, named in honor of the eccentric Icelandic singer. The band's founder, pianist Jeremy Douglass, got the idea a couple years ago while listening to Bjork on the way to play a wedding gig. Douglass jokes he asked his friends to make an "investment" in Bjork, as they would have to play for free. Since then the band has become a bit of a local sensation, going on to cover many more artists than Bjork. “The artists that we cover don’t come here [the Tampa Bay area], haven’t been here in a while, probably will never come here or are dead,” Douglass said. Paychecks have changed, but the rehearsal space is still Douglass' living room in St. Petersburg. 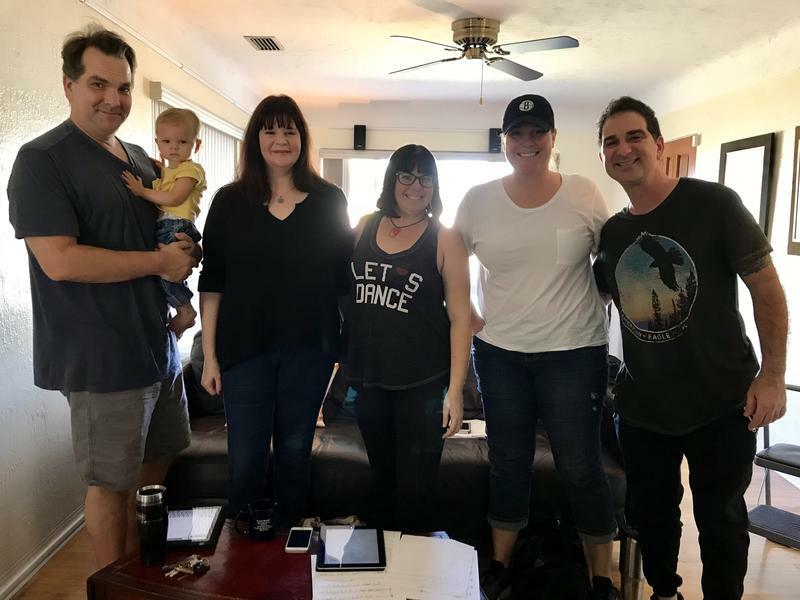 Less than a week before a recent performance, singers in sweatpants were sitting on Douglass’ couch shuffling through papers with lyrics on them, looking at sheet music on their tablets and occasionally referencing YouTube videos to remember when the backup vocals come in. There's not enough space for all 20+ members of the band to rehearse at once, so they usually have to practice in sections. 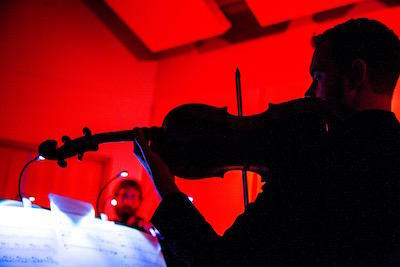 String players had one day, horns another and same with the rhythm section – they go in the garage. They rarely get to perform all together until its show time. Just about everyone is a professional musician, so they know their stuff. But singer Colleen Cherry says as someone who is used to working in theater, it took some time to trust it would all work out. “That kind of makes it more special that the first time we do it all together is for the audience on stage, so they're seeing it for the first time," Cherry said. A few days later, it was clear there was no need to panic. Everything came together seamlessly as the full Bjorkestra put on a "Greatest Hits” concert at Jannus Live, part of the recent Et Cultura Festival in St. Pete. 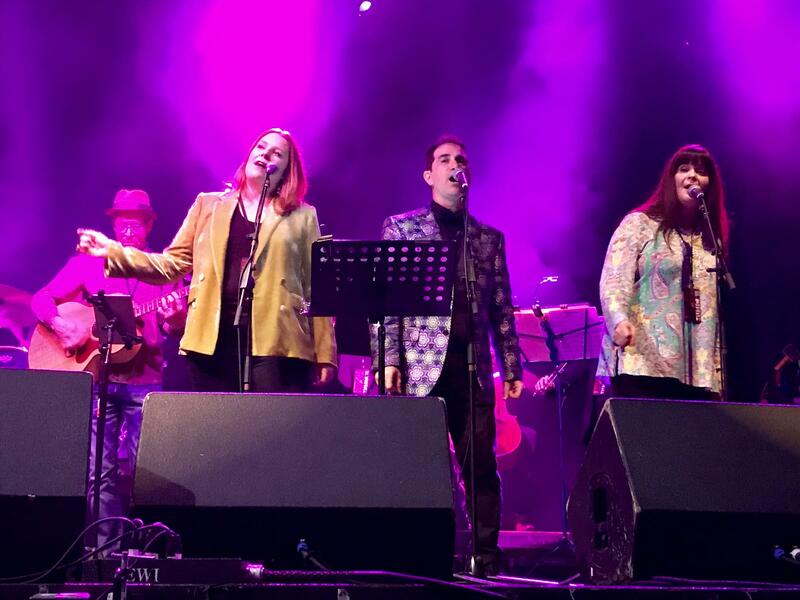 They paid tribute to artists like Peter Gabriel, Kate Bush, the late David Bowie and of course Bjork. 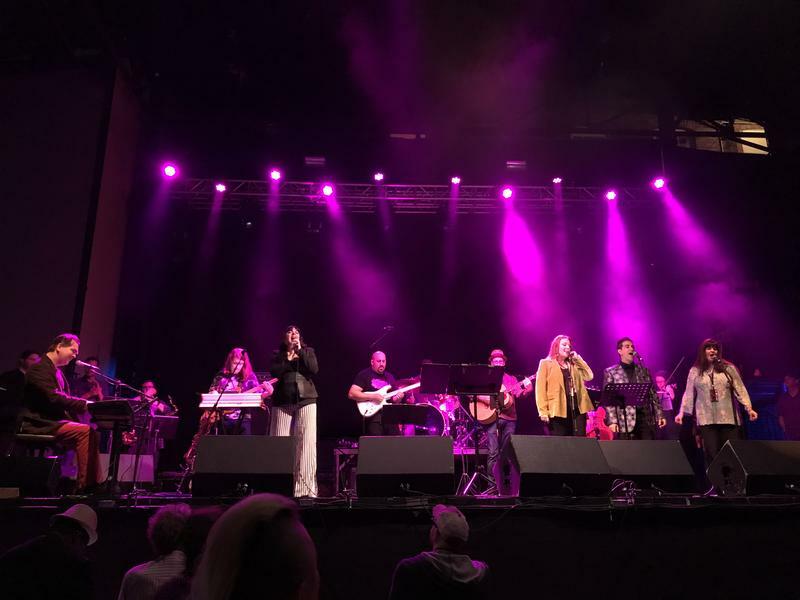 The show brought out some repeat fans, like St. Pete resident Jay Keehler, who discovered the Bjorkestra last year at their Peter Gabriel/Tori Amos concert. He said the performance at Jannus Live was a fantastic tribute to some of his favorite artists. "It makes me feel like I'm so grateful and so happy that I had this type of music to listen to back in the day," Keehler said. The band earned some new fans as well, like Keehler's friend Tina Dyakan, who also had a nice walk down memory lane. That kind of engagement from the audience is typical at all their shows. Singer Jamie Perlow says some fans are even brought to tears. “People always come to me with a memory, like this song meant this to me at this time in my life, or this relationship,” Perlow said. “They like to relate stories and that's just been such a cool thing." Ronnie Dee, who sings the Peter Gabriel numbers, says there's a lot of pressure covering performers who have such big fans. Whitney James says the band feeds off the crowd's energy. Dee chimed in, “They know the words better than us!" Up next for the Bjorkestra is a George Michael/Madonna show in April. Then their first repeat performance next September: another edition of Buffyfest, which paid tribute to music from the TV series Buffy the Vampire Slayer. It was so popular people actually flew in from out of town to catch the show at the Palladium Theater. Local vendors got involved, as did the tourism agency Visit St. Pete/Clearwater. 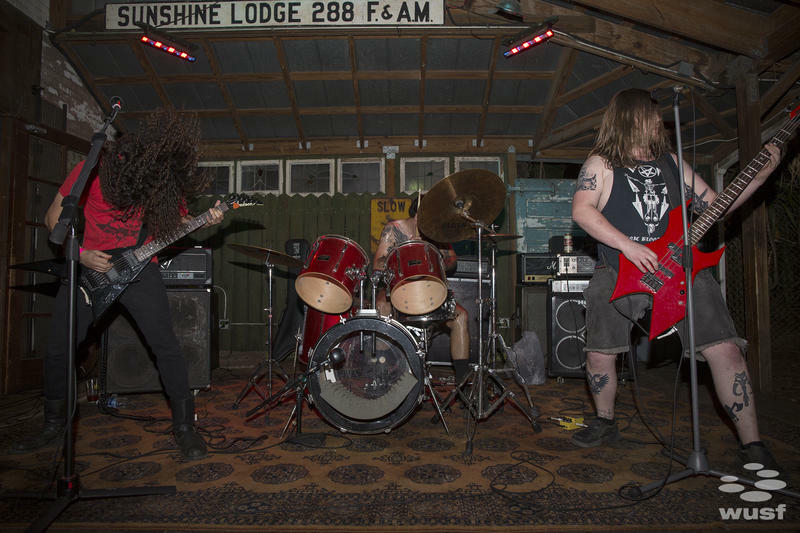 The band hopes to do more shows that incorporate the community in the overall experience. It sounds like the Bjorkestra has a fun year ahead, one that members like Ronnie Dee can look forward to as they return to their day jobs. "I’m lucky enough to have music make my living, so I can afford to make these ‘investment’ gigs which satisfy my soul directly,” Dee said. You can also hear singer Whitney James on WUSF 89.7. She's the Monday host of All Night Jazz. The Tampa Bay area boasts some world class performing arts venues. But you don't have to pay big ticket prices to hear great music. 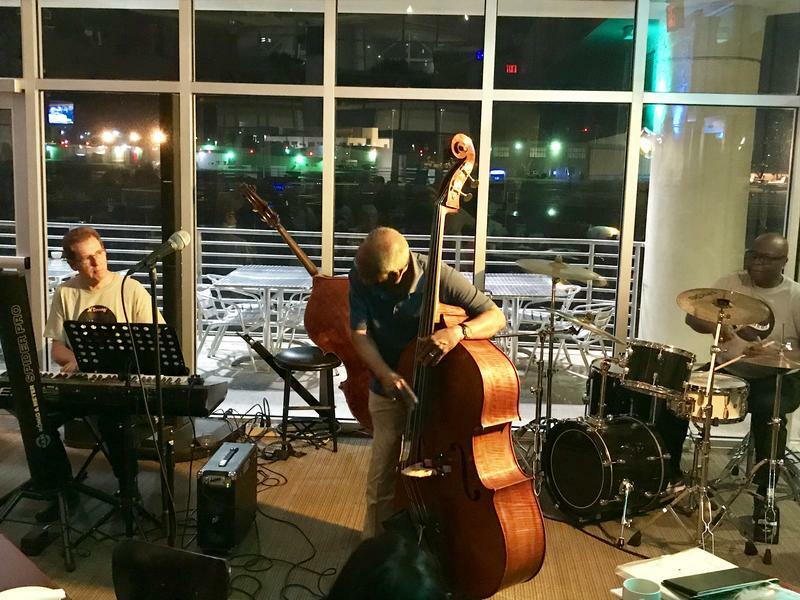 As part of WUSF’s ongoing Art Populi series on live, local music, we visit a restaurant in downtown St. Petersburg where jazz reigns every Monday night. Adam Shaw, bass in hand, peels a sweat-soaked strip of blonde hair away from his face and steps up to the mic. He growls into the microphone as a swarm of fans, clad in black, bounce on their feet around them, screaming back at the band.